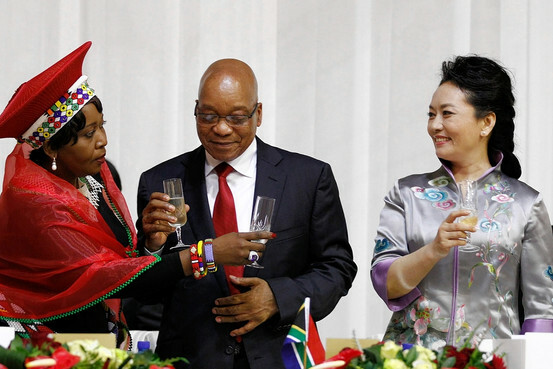 Reuters South Africa’s first lady Bongi Ngema toasts China’s first lady Peng Liyuan as President Jacob Zuma looks on. Members of the Brics group of emerging markets took steps to trade their currencies more freely and to establish a joint development bank, seeking to counter the influence that developed countries exert over the global economy. Brazil and China agreed Tuesday at a summit of Brics leaders in Durban, South Africa, to use their central banks to swap up to $30 billion in Brazilian real and Chinese yuan over the next three years, allowing businesses to trade between the two countries without converting earnings and investments to U.S. dollars, the standard conduit of global trade. Brazil’s finance minister, Guido Mantega, said the arrangement, which the countries have been working toward since this past June, would give them a means to exchange currencies “independent of the conditions of financial markets.” He also said the Brics countries—Brazil, Russia, India, China and South Africa—were close to an agreement to pool some foreign-currency reserves in case of a balance-of-payments crisis. The bloc’s move to create a new development bank, however, was weighed down by disagreements over funding and management, said Russian Finance Minister Anton Siluanov. “On the whole, we agreed that we will continue to work on creating a Brics bank once the unresolved questions are answered,” the Interfax news agency quoted Mr. Siluanov as saying. South Africa’s finance minister, Pravin Gordhan, added that he was pleased with the negotiations. “We’re on track,” he said. South African officials want a new development bank to fund infrastructure projects that the International Monetary Fund and the World Bank have overlooked. Larger Brics members, such as China and India, are eager to establish an institution that could extend their influence deeper into Africa and other emerging markets where their economic interests are expanding. The Brics’ slow march toward establishing their own bank illustrates their struggle to move past populist rhetoric to true cooperation between powerful and sometimes adversarial nations. Each is eager to reap the benefits of a larger trade group—and all are fearful of being flooded with products from the others, particularly China. Mr. Xi acknowledged China is pursuing its own commercial interests in Africa. “We each see the other side as an opportunity for our own development,” he said. According to the proposals discussed Tuesday, each country would likely contribute up to $10 billion to the bank, an official said, speaking before plans were to be approved by the national leaders gathering Wednesday. The bank would focus on infrastructure development, he said, both in the five-nation group and in emerging markets where they want to do business. But economists and business leaders said an initial pool of $50 billion wouldn’t be enough for the bank to make its mark in Africa or elsewhere. More specific decisions—including which country will host the bank and where it will invest—will be postponed at least until the bloc’s next summit meeting in Brazil in 2014, he said. The leaders of the so-called BRICS nations — Brazil, Russia, India, China and South Africa — are set to approve the establishment of a new development bank during an annual summit that starts today in the eastern South African city of Durban. Goldman Sachs Asset Management Chairman Jim O’Neillcoined the BRIC term in 2001 to describe the four emerging powers he estimated would equal the U.S. in joint economic output by 2020. Brazil, Russia, India and China held their first summit four years ago and invited South Africa to join their ranks in December 2010. Trade within the group surged to $282 billion last year from $27 billion in 2002 and may reach $500 billion by 2015, according to data from Brazil’s government. Foreign direct investment into BRICS nations reached $263 billion last year, accounting for 20 percent of global FDI flows, up from 6 percent in 2000, the United Nations Conference on Trade and Development said on its website yesterday. Russia favors capping each side’s initial contribution at $10 billion, Mikhail Margelov, PresidentVladimir Putin’s envoy to Africa he said in a March 15 interview in Moscow. Lack of a mechanism to properly package transactions, evaluate markets and structure opportunities both entrepreneurs and potential investors. 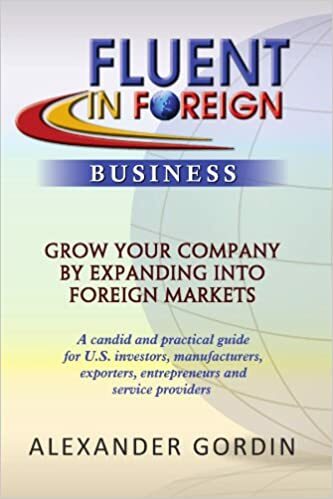 Thus the following challenge emerges – If someone could cost-effectively help entrepreneurs increase their international business IQ and help them become Fluent In Foreign Business, billions of dollars of additional economic value would be created for those involved. Thus it is time for both investors and entrepreneurs worldwide to add a strong set of international business tools to their arsenal. SAN FRANCISCO, Calif.- Never separate an Italian entrepreneur from his coffee. That was one of the key takeaways, among others, at Mind the Bridge’s first ever demo day. Mind the Bridge is a seed fund and accelerator that supports Southern European entrepreneurs from distressed economies, with a focus on Spain, Italy, Greece, Israel. The program helps entrepreneurs set up headquarters, establish a network, and gain exposure for their product in the U.S.
Draper kicked off the demo event, which featured presentations from six startups. Each of the companies participated in Mind the Bridge’s three-month accelerator program and received coworking space and guidance from mentors who understand the unique position of foreign entrepreneurs. Founder Marco Marinucci advocates a “dual-company model,” whereby development stays in the home country, but headquarters are in Silicon Valley, where the market and the money is. Each of the presenting startup have built consumer-facing startups that span a range of sectors. Italian Atooma is a smartphone app that lets you set up conditional events that automatically trigger simple actions based on things like time of day, location, and favorite apps. Myze is a Spanish-based service that helps consumers collect and maximize their credit card rewards to access discounts, promotions and deals. Bad Seed is a gaming company from Italy developing mobile games that achieve ‘the quality of console games.’ Weendy is a social ‘sports mate’ application where surfers, skiers, kite boarders etc… can share information on weather conditions. The founders are from Greece. Also hailing from Italy, Map2App is a web-based platform that lets travelers create custom mobile travel guides to access on-the-go, and in3Dgallery’s technology turns 2-dimensional content into dynamic 3D presentations. Mind the Bridge was founded in 2007 as a side project while Marinucci worked at Google. It was first conceived as a non-profit accelerator program dedicated to developing Italy’s startup ecosystem, but has grown to encompass a wider geographical scope and includes a seed fund and startup school. Today’s startups were the first to graduate from the accelerator program, but they won’t be the last. Marinucci plans to make between 12 to 15 seed investments a year of between $40,000 and $100, 000 and is raising a second fund. It’s a good day for European and Israeli startups seeking funding, as Accel Partners announced a new $475 million fund today for early-stage tech companies. The new fund, Accel London IV, was raised in just eight weeks and makes Accel London one of the largest venture capital firms in the region, with $2 billion raised to date across its previous funds. The new fund’s total is more than what was initially rumored back in February, as VentureBeat previously reported. Accel, which has offices all around the world, said the newly announced fund will focus on investing mostly in companies in Europe and Israel that deal with consumer Internet, big data, cloud, SaaS, and mobile. Accel is well known for its long list of early investments in wildly popular companies, most notably Facebook. It has also previously invested in Spotify, Rovio, Dropbox, Cloudera, Etsy, Trulia, and Groupon. More specifically, Accel’s London team has invested in QlikTech, Playfish, and Kayak, which sold to Priceline for $1.8 billion after going public last year. In a new illustration of the vibrant activity of the Moscow venture scene, Maxim Shekhovtsov and Alexander Zhurba – founders of TexDrive, one of the city’s largest startup accelerators – announced last week the creation of a fund dedicated primarily to IT projects in Russia and around the world. Christened Genezis Capital, the fund actually launched and made its first investment in late 2012 – but the official announcement was delayed to take advantage of the most suitable moment for it, Zhurba said in an exchange with East-West Digital News. The amount of the fund – which is still open to new LPs – has not been disclosed. But Genezis sources have stated that it has raised enough money to invest in three to five seed or early-stage companies every year, with each receiving from $25,000 to $1 million, and in two more mature startups for as much $20 million apiece – and this for at least two years running. IT projects are expected to account for up to 70% of the fund’s investments, with the rest allotted to beefing up players in biotech, clean tech, energy saving, alternative energy and robotics. In Russia, Genezis works as an extension of TexDrive, managing the accelerator’s assets. Its playing field has been rather narrow, with no more than 70 investment-grade startups in the country, the fund has estimated. But Genezis – which was registered in an as-yet unspecified foreign country – seeks investment opportunities across markets as diverse as the U.S., Europe, Russia and Asia. “We consider Russian and foreign startups under identical criteria,” Zhurba told EWDN. The ‘invest abroad’ trend among Russian funds started in 2009, when Yuri Milner’s Digital Sky Technologies invested in Facebook. Since then, a bevy of Moscow-based VCs, including Bright Capital, Phenomen Ventures, Runa Capital and Ru-Net, have been chasing opportunities around the world, while DST’s cash has fueled Airbnb, Alibaba, Spotify, Twitter and several other top Internet companies. Genezis Capital’s first investment – more than $10 million – went to an undisclosed company operating in the U.S. and Western European markets. Its Russian portfolio includes B-152, an Internet service that helps businesses comply with the demanding requirements of Russia’s personal data legislation; Martmania, a Novosibirsk, Siberia-based online retailer; and Fleecs, a startup developing a payment solution for fuel stations. Africa is the most exciting place in the world these days for tech entrepreneurship. For proof, look no further than the the VC4Africa blog, which covers Africa’s exploding tech startup scene, and its parent organization,Venture Capital for Africa, which raises investment funds for some of the continent’s most promising early-stage startups. VC4Africa’s mission is “crowdsourcing a startup movement across Africa.” The movement was there, capital both from within and without the continent was there, and coming now in greater and greater gouts, but the crowdsourcing was not. VC4Africa and a small handful of other groups, such as HumanIPO, are seeking to fill the gap, with increasing success. The one-year-old organization has so far raised over $1 million in direct investment for early-stage startups on the continent, targeting the underserved sector of companies with less than a million-dollar valuation. A matchmaking service, uniting African entrepreneurs and their companies with individuals interested in investing in them, today announced its 10,000th member. 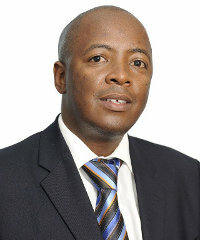 It has also reached 1,000 African enterprise members. The service vets qualified investors and credible startups before admitting them to the community, adds a social element in profiles and interactivity, and provides “self-help tools, business modeling workshops, and member hosted networking opportunities,” in addition to structured mentoring programs. But if your goal is some good old-fashioned neo-colonial resource-extraction-style investment, think again. Africans by and large have learned from their previous relationships with non-Africans and, as a group—especially as a plugged-in group—its entrepreneurs seem unwilling to sell out their long-term interests for short-term gain. One relationship will stand in for many in this respect. The South Korean corporation Samsung partnered with the iLab at Nairobi, Kenya’s Strathmore University, funding a wing of the tech research institute. But instead of “owning” the work of the students and faculty they are funding, they get first-look opportunities to license the tech. The ownership of the IP remains with the creators. This is the new context for investment in Africa, and the sense of independence and control is not incidental to the burgeoning tech industry on the continent. When you are motivated by a sense of pride and ownership, you tend to give it your all. The resulting quality and market have inspired VC4Africa’s investors to risk minimum investments of $10,000 on the network’s entrepreneurs. That boomtown, smash-and-grab attitude is one of the reasons the founders wanted to build face-to-face relationships between its members before diving into funding, co-founder Ben White told the Daily Dot. They have hosted meetups in 40 cities, in Africa and elsewhere. But White believes that the investing climate in African tech has already matured to the point where the ability to sweep in and “invest” the crap out of a place like an early 20th century bauxite tycoon is starting to change. However, as any market matures, the increased competition starts to level the playing field. In the final analysis, however, “the ecosystem and the agenda has to be driven by entrepreneurs” and they are thick on the ground in Africa. As those who were in San Francisco in the mid-nineties know, there is no place so exciting as ground zero of an explosion in intellectual capital. Africa, with a population of 1 billion people, 50 percent of whom are under 30, connected as never before to the global community and with tools to build with that many more people can afford, is in the midst of a renaissance that could make the Bay Area’s last-century heyday seem like a footnote. VC4Africa’s story is interesting. But it’s one story among millions whose first chapters are only now being written. VC4Africa is a keyhole through which, if you put your eye right up to it, you might be able to see the next century spread out across the continent’s savannas, forests and coasts. Following a highly publicized visit to North Korea, Google Executive Chairman Eric Schmidt will travel to Myanmar. The WSJ’s Shibani Mahtani tells us why the U.S. technology giant hopes to gain access to this market of 60 million. Google Inc. GOOG -0.75% Executive Chairman Eric Schmidt heads to Myanmar next week, a sign of the Southeast Asian country’s appeal to leading U.S. technology companies as it emerges from decades of secrecy and crippling western sanctions. The visit on March 22 will be the first by a high-level executive from a U.S. technology giant, as many American companies have been held back by U.S. regulations that restrict their access to this market of 60 million people, giving international rivals an edge. Mr. Schmidt’s visit follows a high-profile personal trip to North Korea, which has similarly low Internet penetration but remains far more isolated and closed off to U.S. companies than Myanmar, now widely seen as the region’s newest investment darling. 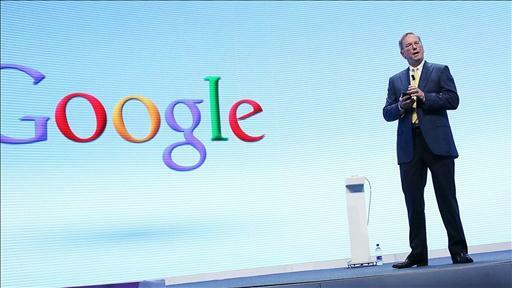 “Eric [Schmidt] is visiting several countries in Asia to connect with local partners… who are working to improve the lives of many millions of people across the region by helping them get online,” said Google spokesman Taj Meadows, confirming the visit. Mr. Meadows didn’t go into specifics of Mr. Schmidt’s agenda, but industry experts in Yangon said Mr. Schmidt plans to speak at a public event with local startups, entrepreneurs and students. 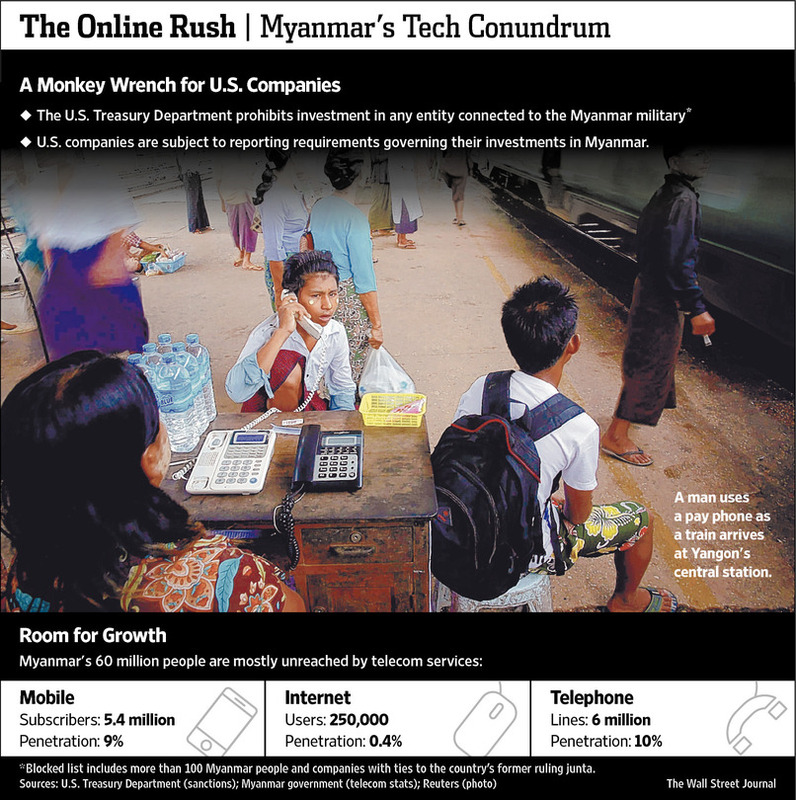 Myanmar’s information-technology sector is seen as a potential billion-dollar industry, soon to be boosted by planned advances in telecommunications. Two licenses will shortly be awarded to foreign operators, a step that is expected to improve Internet and mobile networks there. President Thein Sein‘s nominally civilian government has pledged to open the once-sensitive sector, piquing the interest of companies world-wide. Under the previous military government, online communication was considered highly sensitive, and was heavily controlled. Even the word “Internet” was censored from all publications and cyber cafes were banned at the turn of the millennium, a time when Internet companies were booming in countries elsewhere. The government hopes to increase mobile-phone ownership to 80% of the population by 2016, from 9% now, presenting huge opportunities for any company operating in the mobile-Internet space. 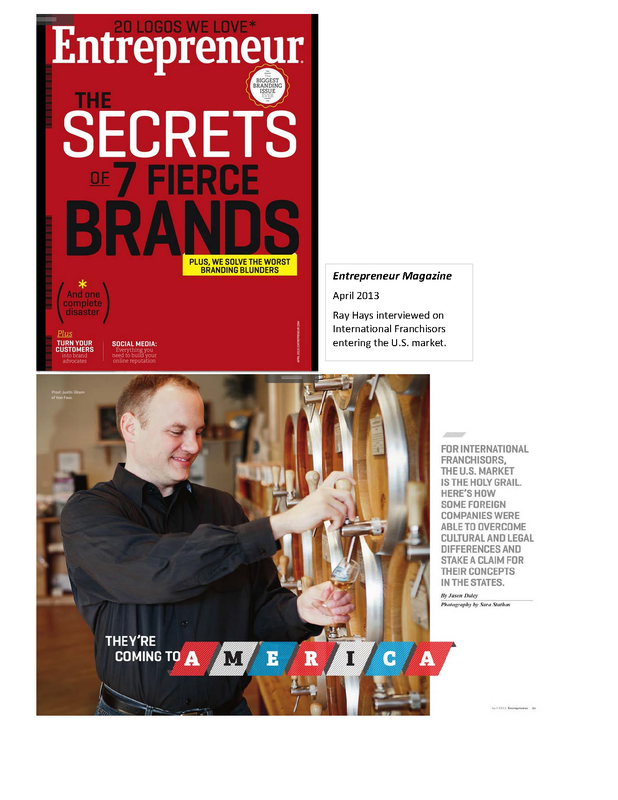 The change is getting attention by U.S. companies. The U.S. Agency for International Development (USAID) last month led a technology delegation with representatives from Google, Intel Corp., INTC -1.34% Hewlett-Packard Co., HPQ -0.68% MicrosoftCorp. MSFT -0.30% and Cisco Systems Inc. CSCO +0.51% to Myanmar to meet with government ministers and young entrepreneurs. “Our companies are eager to partner with you and work with you,” said USAID Administrator Rajiv Shah, speaking in Yangon after the business mission. Technology companies like Cisco have already started making small investments in the country, announcing earlier this month that they will be setting up training centers in Myanmar for locals to use their software. The U.S. and Europe had sanctions against Myanmar when it was run by the military. But they removed almost all economic sanctions over the past year, rewarding Mr. Thein Sein’s administration for its sweeping political reforms. But U.S. Treasury Department regulations still prohibit American companies from dealing with a list of more than 100 individuals considered cronies of the former military regime, many of whom continue to hold powerful and influential business positions under Mr. Thein Sein’s administration. American companies that can avoid working with these individuals wouldn’t face similar restrictions, but would still be required to comply with strict reporting regulations when making investments in the country, which they complain is unnecessary red tape. American officials say that there are some “legacy issues” that frighten U.S. companies investing in Myanmar, admitting this is partly the fault of poor communication from the U.S. government. U.S. officials have also promised to update the list, adding new names as their ties to the former regime become apparent and removing others who they believed have improved their behavior. Still, U.S rivals continue to dominate the market there, having been the first movers to the country of 60 million people, many of whom are growing in affluence. According to a report from the Open Technology Fund, a research division of Radio Free Asia, Chinese company Huawei Technology Co. 002502.SZ -1.20% leads the smartphone market. The report, which doesn’t break down smartphone makers’ market share in the country, says Huawei phones there cost between US$500 and US$600. Apple Inc.’s AAPL +1.89% iPhone 4, on the other hand, retails for US$1,120 in Yangon—far more than in the U.S. because of third-party restrictions. South Korea’s Samsung Electronics Co. 005930.SE -2.63% Galaxy smartphones retail between US$115 and US$500 in Myanmar, according to the report. Many of the country’s tech entrepreneurs have been plugging away at the sector for decades despite the hurdles. They hope to modernize their country with new innovations. But partnerships with U.S. companies, they say, remain the bigger prize and could push their government to be more open and transparent.